Are you a fan of the movie A Christmas Story? 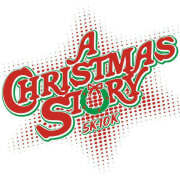 We would love for you to participate in all the activities and fun by volunteering for A Christmas Story 5K/10K Run! We have several different opportunities available, so you can tailor it to your interests. All our volunteers will get their very own limited-edition tee-shirt. a non-profit foundation established to restore and maintain the neighborhood surrounding A Christmas Story House & Museum for future generations to experience and enjoy. The foundation provides grants to projects that enhance and preserve the surrounding neighborhood. To date, the Run has generated $389,500 for the Foundation. Please visit www.AChristmasStoryHouseFoundation.org to see the projects that are underway. We would love to invite volunteer match to volunteer in various aspects of the race. We need volunteers to help with stuffing the bags that each participant receives, help at packet pick-up, along the race course as race support or at the finish line handing out the medals and all the post race goodies, including delicious Ovaltine this year we are adding our fine furry four legged friends to the race our beloved BUMPUS HOUNDS! So we are adding lots of fun loving dog jobs to the mix of things. Volunteering for such a worthy cause can make such a huge impact on the neighborhood and in our mission to help the neighbors in the Tremont area. Below is an example of some of the volunteer opportunities available. Please visit our volunteer website for a full listing of all available opportunities.